The new Gmail tabs have met with praise in many quarters but dismay in others. For those that don't like them you can easily go back to one single inbox by removing the tabs via settings - Configure inbox - then uncheck the tabs that you don't want. 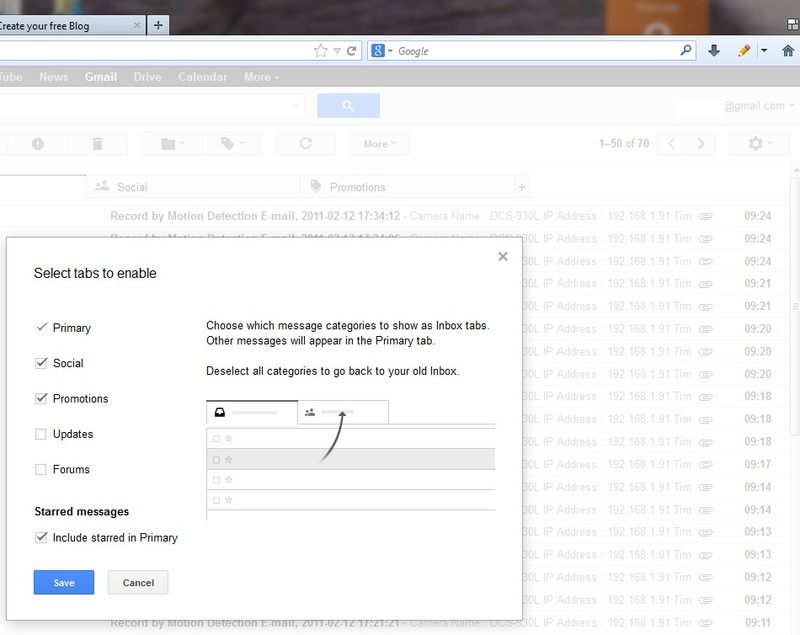 Another way is to have a bookmark /favourite to get to Gmail with the folling address https://mail.google.com/mail/h/ This will open Gmail up in basic HTML view which does not have the new tabs. But to the point of this post. In old Gmail you also had a feature which allowed you to quickly delete thousands of emails with a few actions. This is obviously very useful for accounts which get filled with junk mail or for example if you have a security I.P. camera which sends hundreds of emails a day to a single address. It's good to be able to bulk delete the thousands emails clogging up the inbox. 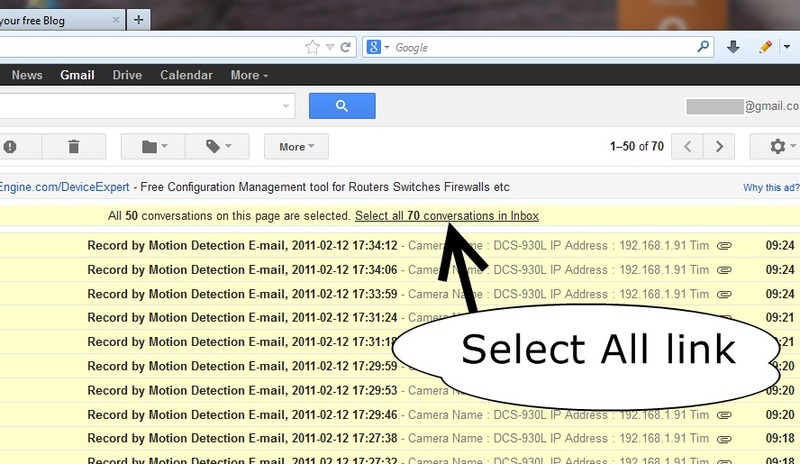 In the new and old Gmail there is a select all checkbox and a delete button as shown below. 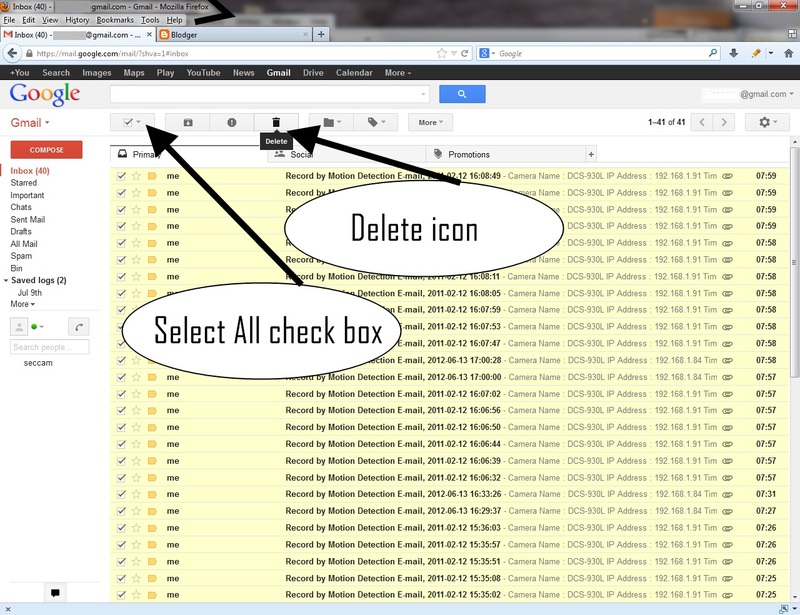 Simply select all then delete and you can delete all emails in that tab or on that page. 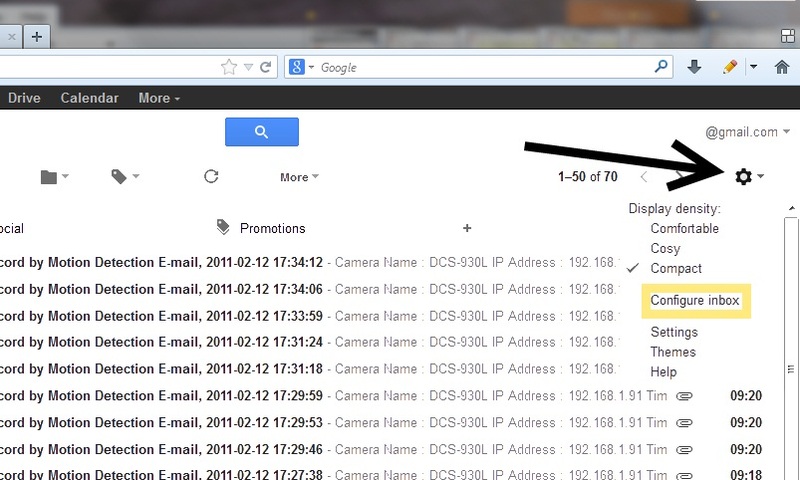 Click this, then press delete icon and you have deleted all emails in your inbox. 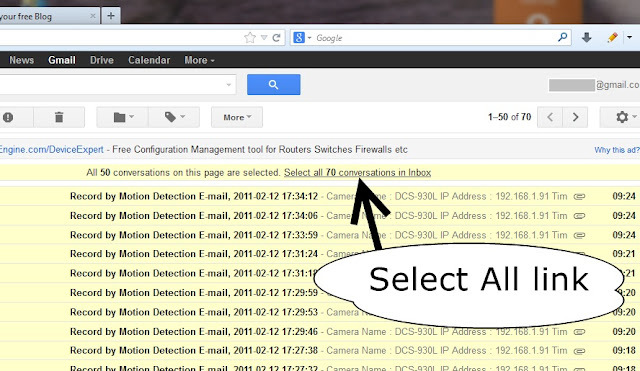 With new Gmail and tabs this doesn't happen and there is no "Select all" link. So for those who like the tab feature where it saves your primary box being filled with junk mail all the time, but do have the need to delete all emails then all you do is temporarily remove all other tabs so that you return to a single primary inbox, and when you select all on one page, then the select all conversations link reappears. You of course need as always to skim through your emails and see if there are any you want to save. If you want to quickly save all emails from your friend Rachel to read post bulk delete, simply type Rachel in the search bar at the top of the screen and press the search button(the magnifying glass) and Gmail will only show those emails with Rachel in them in the inbox. 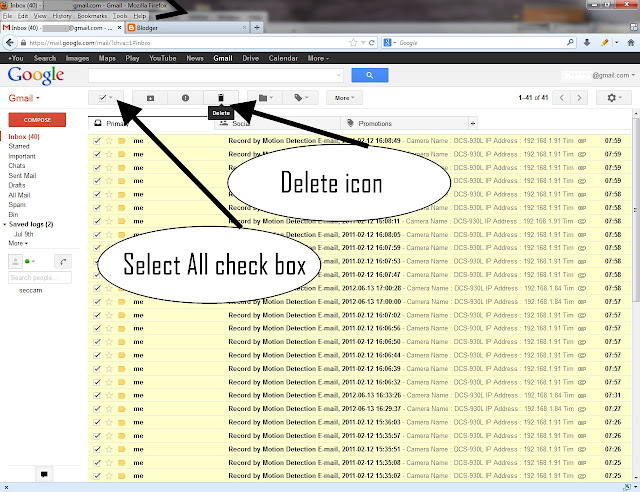 You can then create a label, and select all these emails and move them into this label. These will be unaffected by the bulk delete.